Anyone fond of a big night out has their own favourite way of trying to deal with the subsequent hangover, but how many of these morning-after rituals actually have genuine hangover-fighting potential? We took a look at five sworn-by hangover cures to see which of them had promise, if any. The simplest and easiest method on this list, it’s commonly perceived that drinking a lot of water the morning after a big night out will all but cure a nasty hangover. The reality – While it’s not a one-step cure, replacing fluids lost on a night out is crucial to combating a hangover. Alcohol has a significant diuretic affect, meaning that it causes you to dehydrate by making you urinate more than usual. The resulting dehydration can worsen the symptoms of a hangover, so it’s important to start rehydrating as soon as you wake up (or preferably the night before). Rehydrating won’t make your hangover go away singlehandedly, but it’s an important first step towards making you feel better. Many individuals swear by the restorative effects of coffee on a hungover body, whether it’s a little glass of pure espresso or a take-away cup with more milk in it then coffee. 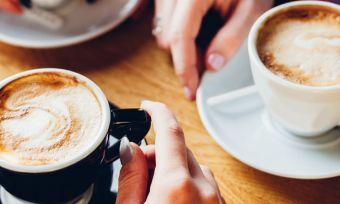 The reality – If you’re sensitive to caffeine, coffee can provide your fatigued body with a much-needed boost; and if you’re a regular coffee drinker, it’s worth having a cup if only to avoid a caffeine-withdrawal headache. However if you’re not a regular drinker, aren’t sensitive to caffeine, or just don’t like coffee? Don’t bother. Coffee provides no benefits save a potential caffeine buzz, and has two potential drawbacks to those suffering from a hangover. It has a mild diuretic effect, meaning it may dehydrate you further. Coffee is a vasoconstrictor, meaning that it causes blood cells to swell; so if a hangover for you involves a headache, coffee could make it worse. Furthermore, if you’re not a fan of black coffee, a cup full of frothy foamed milk won’t do your queasy stomach any favours. Stick to water unless you desperately need a boost to get you through the morning. Many people believe that consuming a small amount of alcohol the morning after acts as an effective buffer against the worst symptoms of a hangover – something to do with ethanol versus methanol – and makes it easier to ride it out. 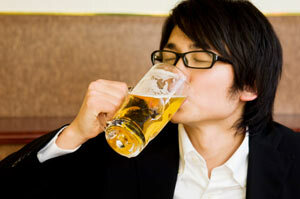 The reality – A hangover is more or less caused by drinking too much alcohol for your body to deal with. Your hangover will only start to go away once your body has metabolized all the alcohol in your system, so pouring more alcohol down your throat will only extend and possibly worsen your hangover by causing further dehydration. Like with coffee, just give it a miss and stick with water. Whether it’s popping a vitamin B complex or a Berocca, people who use this method swear by its effectiveness, and in fairness you do tend to lose a lot of vitamins and nutrients on a big night out. The reality – While the diuretic effect of alcohol causes larger than usual loss of important vitamins such as B and C, there isn’t much scientific support for the theory that taking vitamin replacements the morning after will help your hangover. That being said, it can only help to replace what your body has lost, and for all you know it might make your morning more bearable. It’s a popular opinion that a big greasy breakfast will do a world of good for the ill individual, and help to settle the stomach. 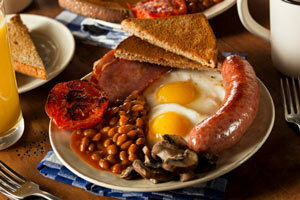 The reality – If you’re going to have a large, fat-heavy meal, do it before you start drinking rather than after. This will help to insulate the stomach, meaning less alcohol will be absorbed into your bloodstream and at a slower rate. If you wake up with a hangover and a sensitive stomach, a big greasy breakfast has serious potential to make you feel much worse; if you’re really hungry, go with some eggs, or oats with banana. Some of these so-called cures have potential to lessen the effects of a hangover, however none of them actually effect a cure. Whatever method you subscribe to, whether it’s on this list or not, make sure you take note of the first item on this list. If you have had a big night, rehydration is your best friend.